In recent years, Science, Technology, Engineering, and Math (STEM) education has been an increasingly critical priority in K-12 school curriculum. Far from an educational trend or buzzword, STEM education is a driving force in preparing students for future careers in a dynamic workforce. At NCSD, 87% of high school students are enrolled in STEM classes beyond the required core courses. In August 2015, NCSD became the first Deaf school in the nation to have a K-12 Project Lead the Way (PLTW) curriculum for all students, including students with intellectual disabilities. PLTW is one of the nation’s leading providers of rigorous K-12 STEM programs. HIgh school courses in the PLTW curriculum include Principles of Engineering (POE), Introduction to Engineering and Design (IED), and Computer Integrated Manufacturing (CIM). These honors level courses provide a course pathway targeted in the STEM field. 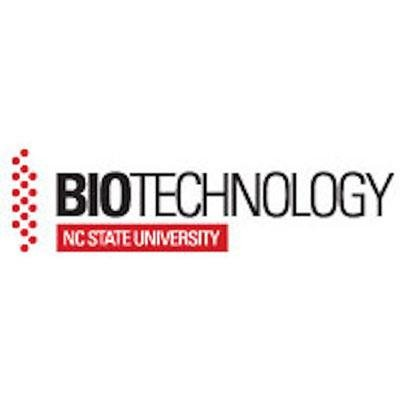 Department and the North Carolina School for the Deaf provides unique opportunities in the field of biotechnology. The University’s goal is to expand their classroom resources and better equip their teachers with tools to teach all different types of learners. By employing the principles of universal design in learning, NC State professors renovated the content of the freshman course “BIT 100: Current Topics in Biotechnology,” to make these labs accessible to students of all learning styles, not just those who are deaf. Throughout the year, NC State students and professors visit NCSD and NCSD students visit the labs on the university’s campus. Students and staff at NCSD are technology literate. Each student has a school assigned Ipad. This 1:1 initiative is enhanced by our campus-wide WiFi and BYOD (Bring Your Own Device) programs. There are 15 high definition, interactive display units in the Academic Department. This is in addition to the readily available Smart Boards, LCD projectors, and document cameras. Further, NCSD’s STEM curricular areas have up to date technical equipment relevant to their course requirements, including Adobe Suites, SolidWorks, TinkerCad, CNC Milling, and MasterCAM, X9, an industrial CAM/CNC software. In all content areas, technology is systematically incorporated into instruction. NCSD aligns our technology, not only to the curricular needs, but also to the individual needs of the students. MakerSpaces are collaborative learning environments where people come together to share materials and learn new skills. In addition, MakerSpaces provide opportunities for participatory and project based learning, which is a guiding framework for STEM Education.